Instagram is a very valuable business tool. Much of your audience will be on it, and it’s a simple way of telling stories about your product or service. Instagram knows this, and their relatively new Story Highlights feature lets everyone showcase the best of their business. To take advantage of this feature, always include a cover on these Highlights; here’s a crash course in making your very own Instagram Story Highlight Covers! 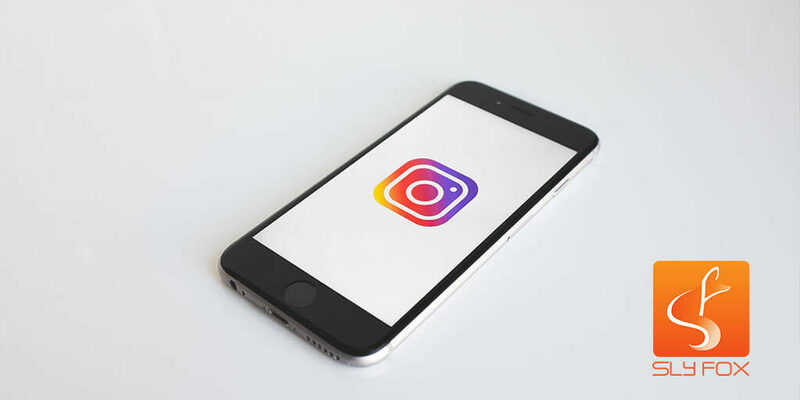 You probably know what the Instagram Story feature is – it’s easily one of the most popular parts of the platform – but for those of us just starting out: Instagram Stories are a series of photos, videos, and Boomerangs that disappear after 24 hours. Instead of the more permanent additions to your feed, you can tell a brief story that sits at the top of the page of your followers and in your profile photo. Once the time period has come and gone, it will no longer be visible. Making a new story is relatively easy: tap your profile pic with the blue checkmark and “Your Story” in the top left, or just swipe left. You’ll be taken to your camera, where the array of options are available to you. You can also pick from photos already on your smartphone’s camera roll. Add any text, filters, hashtags, stickers and/or doodles you want and ta-da! You’re ready to go. But for those of us who just can’t let the Stories go, Instagram has added a cool feature: Story Highlights. This allows you to group clips of different themes together, where they’ll be able to be seen at the top of your profile. Small businesses can then show clips and pics they want customers to see first, letting them control branding and showcase their best stuff. To save a new story, tap the “Highlight” icon in the lower right-hand corner (it’ll be next to “More”) of a story that is currently Live. This opens a window allowing you to create a new Highlight or to save your Story to an existing Highlight collection. To save Stories for future Highlight features, go to Instagram Settings, and under “Story Controls” set “Save to Archives” to the on position. All of your Stories will be saved for future use! What Are Instagram Story Covers? Instagram has made Story Highlights a great feature for branding. On top of raiding past Stories for your Highlights, you can add a cover; this will make the little thumbnail more eye-catching to anyone browsing your page. When you save a Story, you’ll be given the option to “Edit Cover”. You don’t have to do this right away – if you come back to editing the Highlights, you’ll still have the ability to add a cover. You then have two options: use the first frame of any of the clips in your Highlights, or upload an image from your phone’s camera roll. For the first, simply hold and drag to adjust the framing. To select a new photo from your camera roll, tap the photo icon circled in red, select your photo, and position it within the round frame. Because you only get a circular frame to drag around, there might not be a photo to use in either your story or your camera roll. Don’t worry about it – set up your own little photoshoot or boot up an image maker and create a pic specifically for the cover! It’s a small amount of space, so make the most of it. Start by creating a square image, using a high resolution. Dimensions of 1080 x 1080 are ideal, as you’ll get the most detail in there. Centre the most important part of your photo, because The round frame will crop out the corners and thus potentially important details. Snap, then go back to the “Edit Cover” option and choose it out of your camera roll.